Ture Sjolander: Garbo - 1971 ... The truth about Garbo! The stories, observations, descriptions, analyses and interpretations of Garbo are legends alone, and contrast sharply with the lack of information from Garbo herself. Distorted by rumour, guess, error or motive the real Garbo remains silent and elusive. And yet is Garbo really that difficult to see and comprehend. Perhaps all we need to do is look, The truth about Garbo is in pictures. As she looks and appears so she is. Garbo's life and time and personality are in photographs. They are her biography. In this way Garbo has contributed to this book. Other contributors, known and unknowns, quoted and unquoted are also sincerely thanked. Ture Sjolander, a well-known Swedish TV- and filmproducer has compiled this incredible Greta Garbo album. 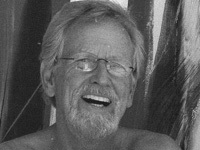 Sjolander is also a specialist in tapestries and is a man of great creativity. Living in Australia and working internationally. Garbo, by Ture Sjolander. 140 pp. New York. Harper & Row. Greta Garbo, the mysterious Swede, appeared in total of 27 feature films. All her work in studios was confined to two decades. Not a tremendous career, picture-wise, by any means. Yet this inscrutable woman is still news wherever she appears and facts about her life story have been documented in over fifty books. 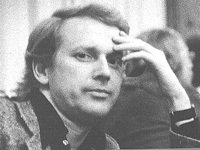 Here's one more, a handsome picture e s s a y by the famous Swedish television and film producer, Ture Sjolander. It just happens to be the most complete collection of photos of this fascinating woman extant. Garbophiles will probably welcome the chance to snap it up at twelve bucks. The magic and mystery of Greta Garbo increase with each passing year. 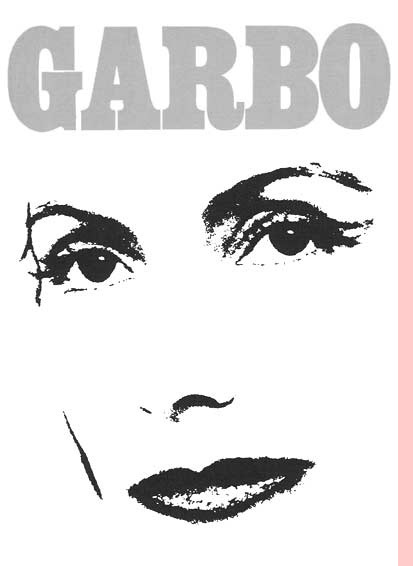 In fact a new wave of Garbo-mania seems to be sweeping the country right now. Here, in nearly two hundred photographs, is the incredible story of Garbo's private and public life - her early years, her rise to fame, her unforgettable films. The text tells about the events and people in the photographs. It's a lavish potpourri of her life and times. There's a bit of comfort in the book for us mere mortals, too. Early photos show the breath-taking beauty of a great screen personality, those on the last pages show the wrinkles and baggy eyes that all of us are heir to.